Building a backyard swimming pool begins long before the first mound of dirt is moved. Just like any other major life event, you spend countless hours imagining your perfect pool - the design, the shape, the small accents that make it completely your own. Your thoughts are not only on the pool itself, but include the entire backdrop setting and ambiance that you would like your friends and family to come over and enjoy with you. perfect setting in their mind, however, most could use an example or two to help them decide how certain features will look together. 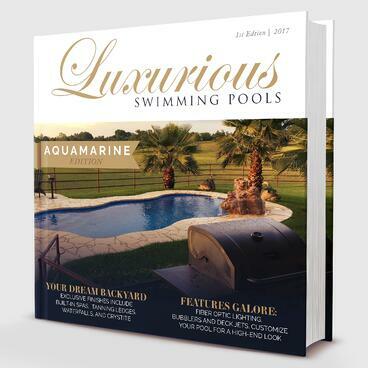 Either way, if you are dreaming of building your perfect backyard oasis, then what could be more perfect than thumbing through a Luxury Pools Dreambook? You won't want to miss out on this free offer! Simply fill out and submit this form. Your dreambook will arrive momentarily right in your inbox.